By defeating Ohio State, 22-0, in the regular season finale, Michigan posted its largest margin of victory in the series in 30 years and handed the Buckeyes their first shutout in 112 games, a streak that began in 1964. 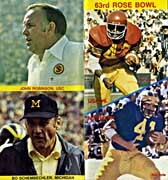 The Wolverines tied OSU for first place in the Big Ten with a 10-1 record, and earned their first Rose Bowl berth since 1971. At season's end, Michigan led the nation in total offense (448.1 yards per game), scoring offense (38.7 points), and scoring defense (7.2 points). In Pasadena, the third-ranked Wolverines were slated to face the No. 2 Southern California, a team with equally impressive credentials. The Trojans stocked with players such as quarterback Vince Evans, running backs Ricky Bell and Charles White, linebacker Clay Matthews, and coached by John Robinson, the Trojans promised to provide Michigan with quite a challenge on New Year's Day. It took until midway through the second quarter for either team to put points on the scoreboard. 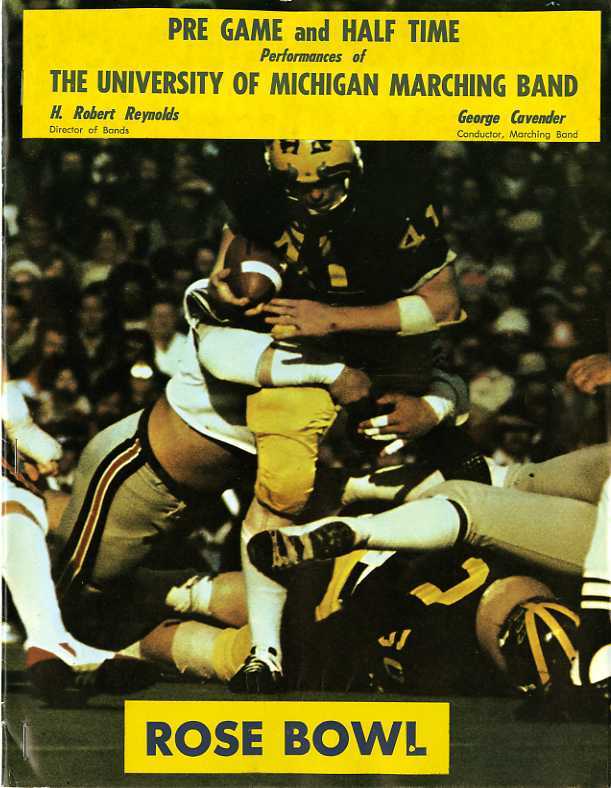 The Wolverines scored first when Rob Lytle smashed over the goal line from one yard out. Bob Wood's extra point attempt was blocked, and Southern Cal used the momentum to march 80 yards on the following drive, tying the score with Evans rolling in on a fourth-and-one play with 1:28 left in the quarter. The conversion was good, and USC held a 7-6 advantage at the half. The game was returned to the defenses in the second half. The Wolverines tallied just four first downs, and the Trojans used a relentless ground game to grind their way deep into Michigan territory in the fourth quarter. White scored on a seven-yard run with three minutes to go, but the Wolverines made it close by charging back to the USC 17 before running out on downs in the closing seconds. Bell, the top pick in the 1977 NFL draft, left the game early in the first quarter with a head injury and was replaced by the freshman White, who went on to win the Heisman Trophy three seasons later. The game also marked Lytle's last in a Wolverine uniform as he led all Michigan rushers with 67 yards to up his then school record to 3,317 yards. USC finished no. 2 in the final football polls behind the Pittsburgh Panthers. The Wolverines finished no. 3 in the rankings, their highest finish under Bo Schembechler. Receiving-- (M): J. Smith 2-52; G. Johnson 2-24; (USC): Diggs 8-98; M. Robinson 2-42; Tatupu 2-7; Simmrin 1-27.